Yes, a SUPER Superfood Pudding. This Superfood Pudding is worthy of the word ‘SUPER’ in it because it contains something you may have already guessed by now–SUPER POWDER. Possibly one of the best things of this SUPER Superfood Pudding aside from being super delicious is that it is very versatile, meaning you can use any flavor of our SUPER POWDERS and you will still achieve a super delicious pudding. Superfood Pudding works great as an afternoon snack, some refuel after a workout or a light breakfast. This pudding contains an item we have all heard of by now, Chia Seeds. Chia seeds are packed full of omega-3 fatty acids, which help lower cholesterol and regulating blood pressure. Plus, a nice dose of fiber, protein, and calcium. Here at EBOOST though we like to take this nutrient-dense recipe and add in even more benefits with our SUPER POWDER. 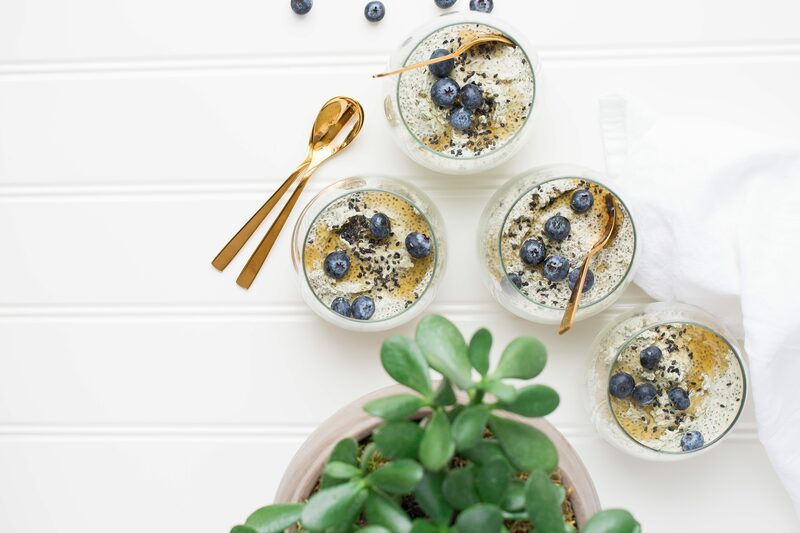 Adding our SUPER POWDER to this Superfood Pudding adds 1,000 mg of Vitamin C, and 100% daily value or more of Vitamin D, B3, B6, B12, folate, zinc, selenium, copper, and chromium. A proprietary blend of 5-HTP, resveratrol, l-tyrosine, quercetin, huperzine A and astragalus. Sharper, clearer, happier. * PLUS, Vitamin C and Selenium work as antioxidants to help prevent oxidation and protect from the damage caused by harmful molecules called free radicals. * Now that is a Superfood Pudding we can get down with! Mix together the almond milk and SUPER POWDER. Allow to effervescent. Once settled mix the rest of the ingredients along with the SUPER POWDER mixture together in a cereal bowl. Cover with plastic wrap and place in fridge overnight. Mix together all of the ingredients together in a cereal bowl. In the morning, remove the two bowls out of the fridge. Grab your favorite jar or glass and add the bottom layer first. Then layer the top layer next. Feel free to top with berries, nuts, coconut, edible flowers, a drizzle of honey etc.